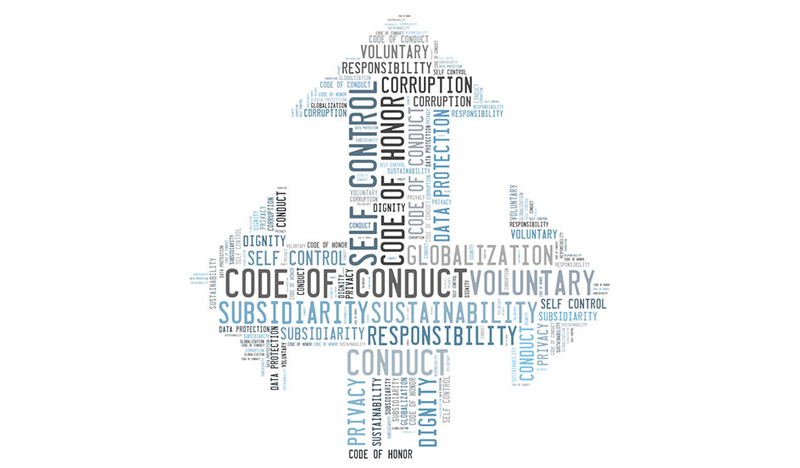 Home / Blog / Uncategorized / Code of Conduct – a barrier to good conduct? Gallup reports only 15% of employees are engaged at work today. Is your poorly designed Code of Conduct the start of this disengagement? If you were to conduct a survey in your organisation with one single question, “Who has read the Code of Conduct?” how many people – employees, managers, senior executives – are likely to say, “yes”? The majority? A few? Hardly anyone? Our guess is hardly anyone and yet the Code of Conduct is possibly the most important document governing the organisation’s relationship with all its employees and safeguarding its reputation and social licence to operate! For most organisations, especially publicly listed companies, those in the public sector and the larger not-for-profits, the Code of Conduct also enshrines the legal obligations both parties have to each other, the framework for how people can expect to be treated at work and the protections afforded to employees in the event of a breach. Our experience suggests that Codes of Conduct often have little meaning for employees. They don’t understand its contents or how to apply its directions; they are not motivated to use it as it wasn’t designed with their needs in mind. Typically, a Code of Conduct comes out of the legal department, and is written in ‘legalese’ – the complex version of English that lawyers need to use to make sure their documents can be defended in a court of law. Legalese is not readily understood by many employees who don’t understand its full implications and will likely never have recourse to the law. And yet, it’s presented to them on their first day in the workplace as a fait accompli and they’re told to just sign it. Typically, they will sign a document that they haven’t had a chance to read and then the Code is not mentioned again until they do something wrong. Often its sole purpose is to reprimand employees for poor behaviour. Our approach is to engage clients in first identifying what their Code’s objectives are and who it’s designed for. Is it there to serve the legal department, the HR department or the needs of employees? If its primary objective is to help employees know what is expected of them, then we need to start with their needs in mind. What are the needs of the employee in understanding why their company or organisation has a Code of Conduct (and, hopefully, a Code of Ethics as well); how best can the leaders of the organisation design a Code’s content so that it resonates with employees’ needs and can be delivered in a style and format that into account the different learning styles and levels of comprehension that exist throughout most employee workforces. Different levels of staff have different accountabilities and require different content styles and nuances while still being true to the spirit of the code. Each level of staff also requires examples of specific behaviours that will and will not represent the organisation’s standards. For one organisation, we designed several different versions of training content to support the Code of Conduct’s intent for their different staff stakeholders and their unique spheres of influence. Each workshop was highly interactive, based on authentic workplace challenges that were able to resonate with people in different occupations, at different levels and coming from different demographic and psychographic backgrounds. Designing code of conduct training that has integrity with employees needs requires this sort of detailed nuancing if employees are to get past the go button of engagement. Authenticity and relevance to them and their situation is the first barrier that must be surmounted. So, does your Code guide conduct, shape the context in which people work, give them a sense of purpose, or just sit on their employee file as a ticking performance time bomb? This piece is an extract from a forthcoming book on how to make your Code work.